Youth First, Inc. hosted a ribbon cutting on Thursday, February 1st unveiling its 20th anniversary celebrations. The year ahead will include an anniversary edition of the organization’s signature auction, an awards reception, and a celebratory gala. 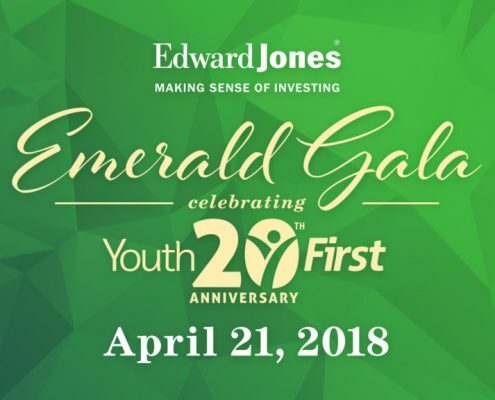 These events will honor the community that has stepped forward to support Youth First over the years and serve as a springboard for the organization’s future endeavors. Featured speakers at the unveiling included Dr. William Wooten, Youth First founder; Carol Lynch, Youth First Board Member; Jim Back, Edward Jones Financial Planner; and Parri Black, Youth First President & CEO. 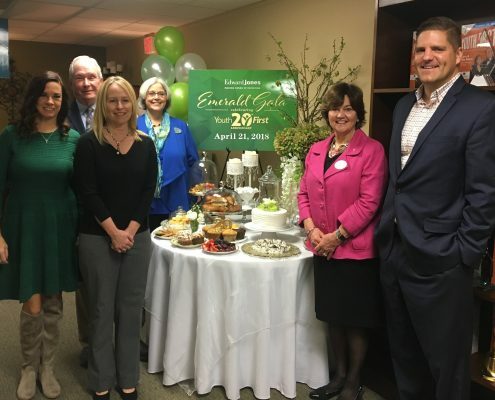 The Southwest Indiana Chamber marked the occasion with an anniversary ribbon cutting and light refreshments were served. 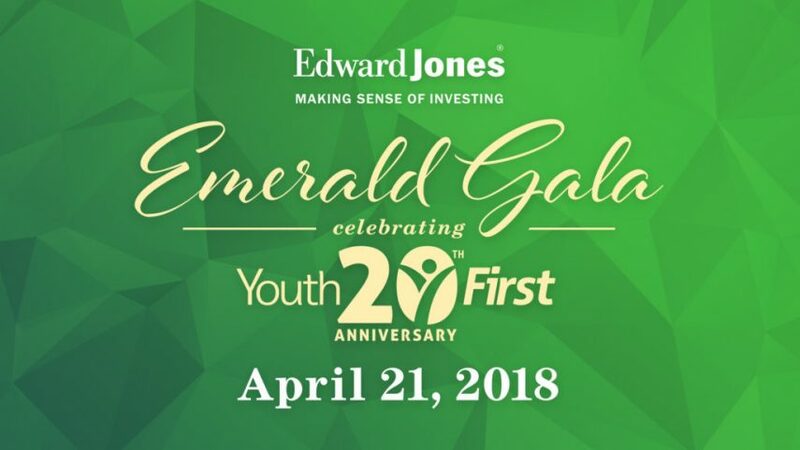 The organization will highlight the Edward Jones Emerald Gala celebrating Youth First’s 20th anniversary on April 21, 2018, at Tropicana’s Riverfront Pavilion. Limited sponsorships and tickets are available. The gala features an anniversary edition of Youth First’s Passport to Adventure auction as well as a formal dinner, dancing, and other entertainment. This event commemorates Youth First’s 20th anniversary by honoring all of the supporters who continue to protect and heal the hearts of youth and families. Prior to the gala, Youth First will host an auction preview and awards reception presented by Romain Cross Pointe Auto Park on April 19, 2018, at Tropicana’s Riverfront Pavilion. All are welcome to preview auction items at this reception which will also honor young people who have benefitted from Youth First’s programs and services. This event is open to the public and free to attend. The winners of the Don Mattingly Youth Award and the Carol Lynch Advocate of Youth First Award will be named.